Washington (AFP) - Unbeaten Oleksandr Gvozdyk retained his World Boxing Council light heavyweight title Saturday with a fifth-round technical knockout of Doudou Ngumbu, who was halted by a right leg injury. Ukraine's Gvozdyk, making his first defense of a title he won with a devastating knockout of Adonis Stevenson in December, improved to 17-0 with 14 knockouts. Although Gvozdyk had some trouble with Ngumbu's awkward style, he connected with a hard right in the first round and a left hook in the fourth. "It definitely didn't happen what I expected and wasn't what he expected," Gvozdyk said. "I just tried to do my best. I don't know what happened actually." 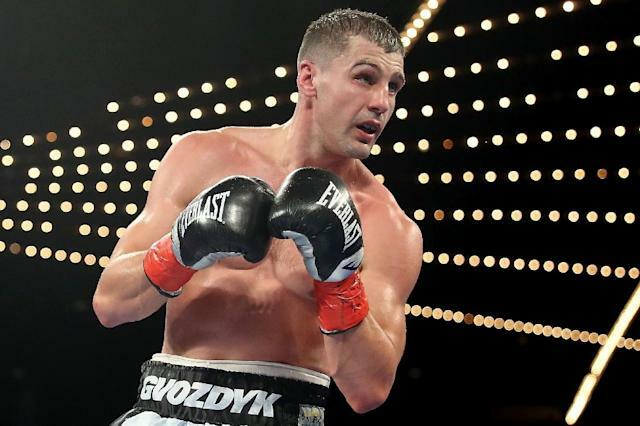 Gvozdyk's previous fight against Stevenson had near-tragic consequences as the 31-year-old Canadian, who was making his 10th title defense, suffered traumatic brain injury and was in a coma for several weeks.